BMW is all set to launch the second-gen X4 in India in 2019. And ahead of its launch, the coupe-SUV has been spotted testing in the country. 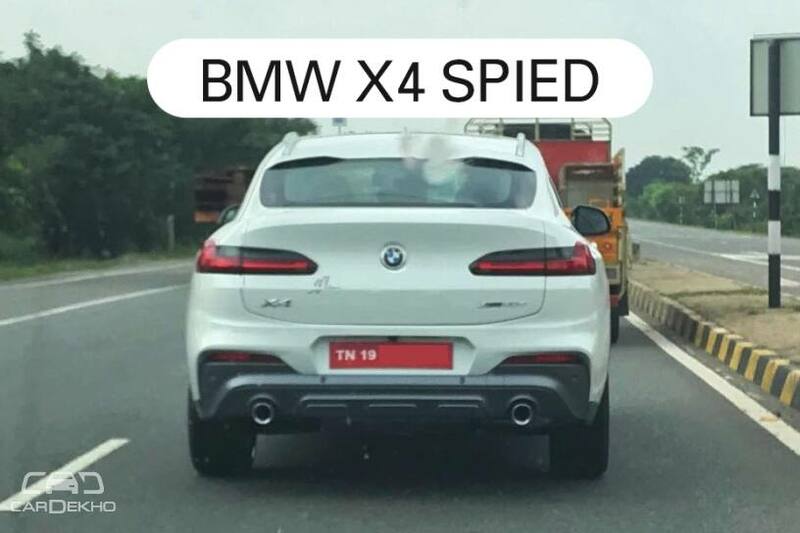 When launched, it’ll be the first time the even numbered SUV from BMW will come to India as the first-gen X4, which debuted back in 2014, was not launched here. The X4 can be considered a coupe version of the X3 SUV. Based on BMW’s CLAR architecture, the X4 is 44mm longer, 27mm wider and 55mm lower than the X3. However, they have an identical wheelbase of 2864mm. It is not only the platform that the X4 shares with the X3. There’s similarity in design as well, at least till the B-pillar. Post that, the X4 features a sloping roofline that flows into a tail that juts out slightly. Although not confirmed, the similarities between the X3 and the X4 are expected to extend to their powertrains as well in India. Like the X3, the X4 is also expected to be offered with both petrol and diesel engine options. The X3 gets a set of 2.0-litre petrol and diesel engines. Where the petrol engine makes 252PS and 350Nm, the diesel motor churns out 190PS/400Nm. Both engines are mated to an 8-speed automatic transmission. As far as pricing is concerned, BMW will position the X4 between the X3 and the X5. So expect it to be priced around Rs 60 lakh. It will rival likes of the Mercedes-Benz GLC Coupe.